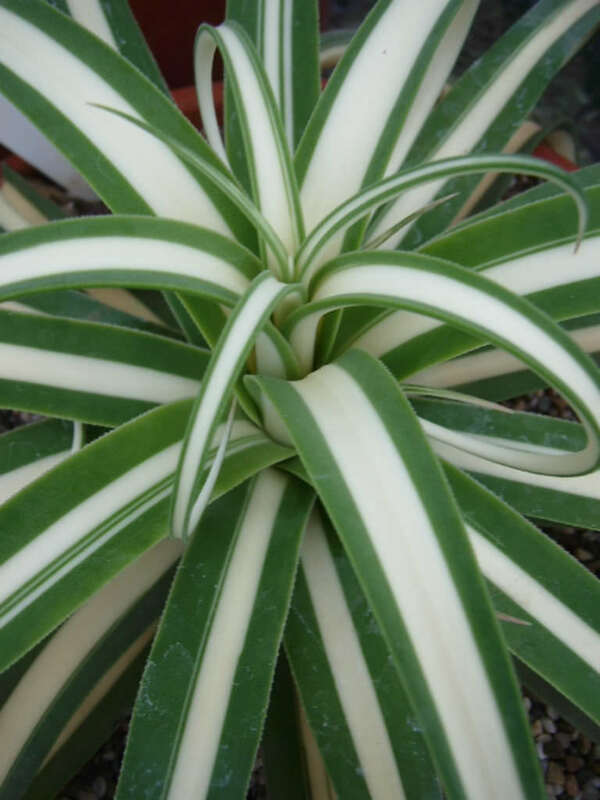 Agave bracteosa ‘Mediopicta Alba’ is a very attractive and highly prized cultivar of Agave bracteosa that grows up to 1 foot (30 cm) tall and up to 1.5 feet (45 cm) wide. 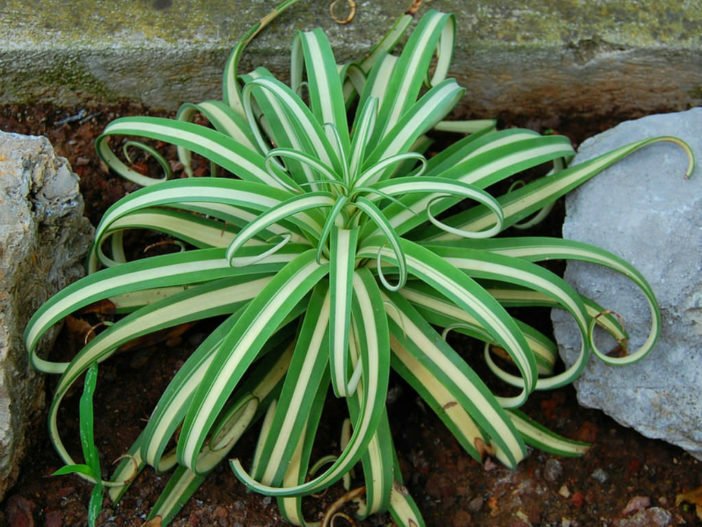 It has pliable, unarmed, arching, narrow leaves with green borders and cream variegation in the center. It will offset sporadically once it matures. Once the species plant matures it has a up to 5 foot (1.5 m) tall, dense spike, bearing small, pale yellow to cream flowers with exerted stamens and pistils. USDA hardiness zones 8a to 11b: from 10 °F (−12.2 °C) to 50 °F (+10 °C). 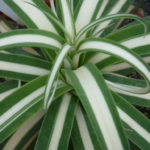 Agaves are not difficult plants to grow. 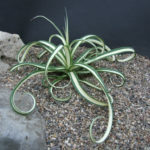 They are slow-growing and dramatic and will even thrive on a bit of neglect. 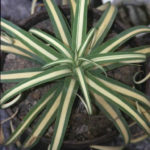 If you are the type of person who likes to fuss with houseplants and water a lot, Agave is probably not the plant for you. If, however, you are the type of person who likes to set it and forget it, and you have a sunny window, Agave might the way to go. 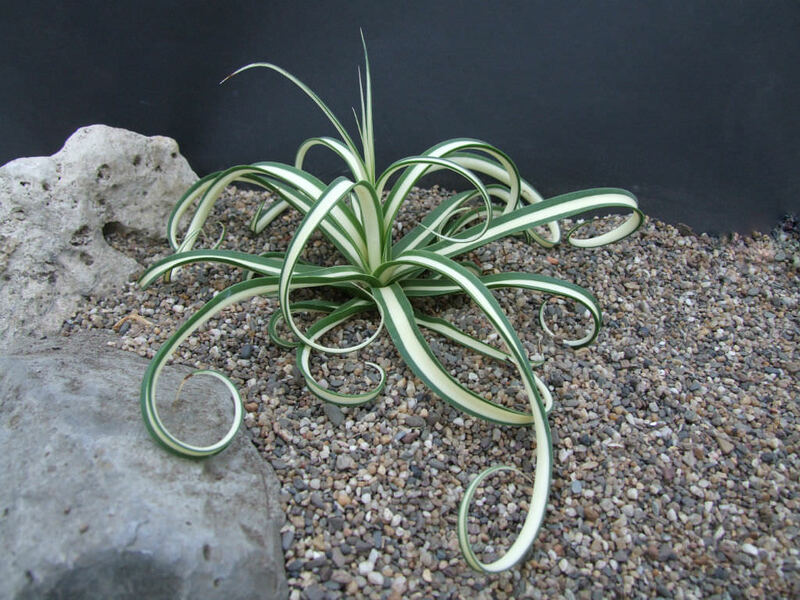 Be aware that some of the large varieties will eventually outgrow your room (unless you have a large greenhouse), and Agave can be aggressive. They have irritating sap and sometimes very sharp thorns that can cause injuries to small children and even pets. 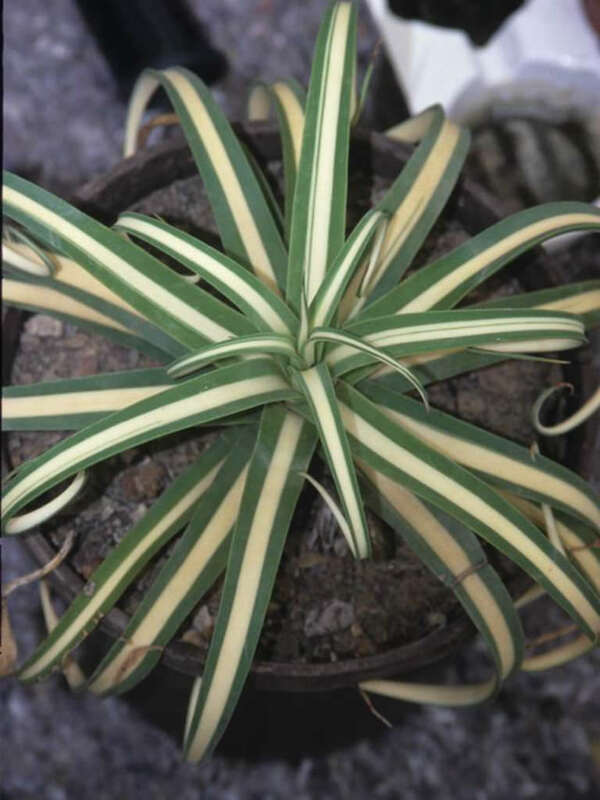 Agave bracteosa ‘Mediopicta Alba’ is a prized cultivar of Agave bracteosa.